If you are looking for my SOUS Project Life challenge then just scroll down please. Here is a card I made for a challenge over at Fantabulous Cricut. 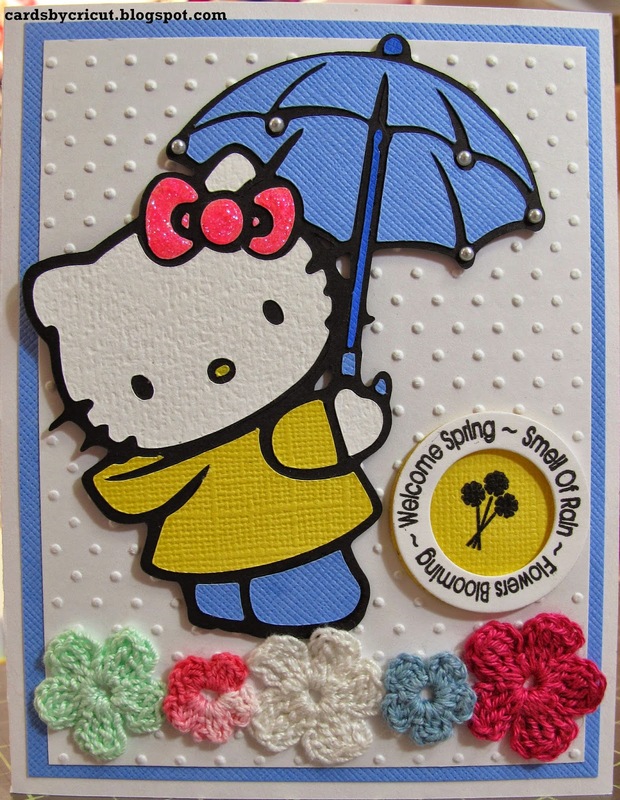 I love me some Hello Kitty. Cute card and I love the flowers. Thanks for playing along with us at FCCB. Sweet card! I love the cut, and the sentiment is perfect. The flowers on the bottom pull it all together :). Thanks for playing along at FCCB this week! She's adorable, I love the card. The flowers are a great touch. Thanks for playing with us this week at FCCB.